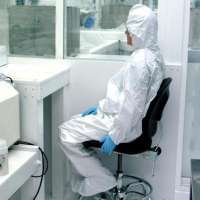 Thanks to your site, myself and several co-workers have started secretly wearing AFDB's under our clean room suits while we manufacture psychotronic devices. BEWARE of FREE COFFEE CUPS... Theory is a well placed pyschotronic tranciever in a coffee cup can bypass the protection while sipping a sugar laden drink. During this moment, you can be encourged to remove any protective devices. Finally our worksafe practice of the very stylish daywear AFDB has been approved. Now all our staff can concentrate on listening only to the soothing sound of our voices, without the troublesome washing out of their brainpans by outside influences. The staff are extremely happy with their regulation AFDB's, and, being from downunder, have added a few necessities of our Australian lifestyles. we have also discovered that being south of the equator means that we must protect ourselves from below, as the insidiousness of "them" knows no bounds, with the unwary also being subject to intermittent scanning from below - which of course can be highly embarrassing and frequently annoying. Our footwear design has definitely put a stop to this problem (see), and we are currently designing a full range of deflector* T footwear, for the fashion conscious. Deflektor*T power to the people!! PS. 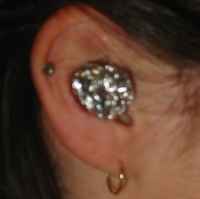 we have found the earplugs (again see pic), can be an unobtrusive way of saving your thoughts from the prying of others, tho we are still experimenting with the reduction of hearing experienced - which can be a somewhat slight problem in customer service. Regards and power always to us; down to "those and them"
"Everyone knows there are two things that I am a scared of. One of them is the Hax0ring of my network or brain." From the GraySky Technologies AFDB page. Having read the benefits of the AFDB, i thought to myself........ surely we can be protected while riding? Modern day bike helmets comprising of polystyrene foam and plastic offer little in the way of psychotronic protection, putting us at risk. While one could possibly wear a standard AFBD under the helmet, such may interfer with proper fittment, and also air flow around the head is restricted, making longer rides uncomfortable. 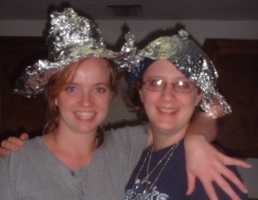 This lead me to develop what i like to call the Aluminum Foil Deflector Helmet (cover). Added benefits also include good properties to reflect harmful radioactive waves from the sun, and also provides a nice surface to refect the sun into motorists eyes so they hopefully crash before they get a chance to mow you down :) I was going to get a shot while i was riding with the AFDH, but it was a bit hard to hold the camera out while doing this (and i didn't trust the homeless dude whom modeled it for me with the digital camera). me and my friends have been using afdb's and we fully endorse this form of mind control prevention we have noticed a definate drop in mind control betweeen us since we have used them. i was wondering if this afdb would fully protect my cat and should i think of constructing a simmilar device for my hamster and how would one construct a simmilar device for a gold fish. 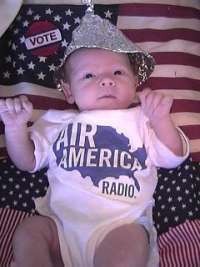 Baby Jam in his AFDB and Air America suit! He is fully protected and ready to take on the GOP! Thanx for lookin at our hats! We really would like your input on what kind of hats would really block the negative rays. 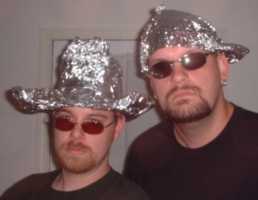 We were under the assumption that any design would work for a tin foil hat. Now we are worried that there may be a superior design to block the undesired intrutions into the deepest cavities of our collective subconscience. I Hope youre still alive to receive this message. The rebellion needs people like you willing to keep fighting for EVERYONE that needs justice! and not poor sewage systems! and anyone that needs lightning. help us to supply lightning. [Brims are often overlooked as AFDB options, and I am glad to see that you are employing them in your designs. While usually unnecessary for normal psychotronic mind control deflecting and sometimes cumbersome to camouflage, brims can offer added protection against more exotic attacks. Backwards brims, as you have employed in two of the designs shown, are great for protecting against the targeting of the lower brain stem, particularly via satellite platforms. While these sorts of attacks do not result in mind control per se, they can bypass the brain and cause involuntary bodily functions or limb jerks that could be used by adversaries at inopportune times to befuddle your plans. Now I know. 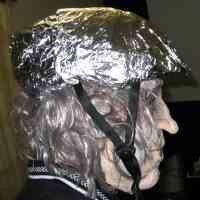 There most certainly is a coalition of aliens and people in Washington trying to control our minds. Let me suggest that all sapient beings follow the instructions found on your website and protect themselves...before it's too late. Some of my prototypes have shown spectacular results. I have felt much better since I started wearing my new aluminum beanie. My thought process are focused and clear. As an added bonus those inner voices that were always difficult to hear are now as clear as if I'd spent my requisite two years and all of my bank account being audited by LRon himself. And those voices have helped me immensely...I understand secrets of the universe that have baffled mankind since the beginning. For instance, I now have been able to put the finishing touches on my negative inertia perpetual free power antigravity machine. You think your alien/occult detector is sensitive? I connected this baby to a chunk of galena and accomplished in seconds what SETI has been try to do for years. Up till now all our attempts have been as feeble as trying to receive Bluetooth by holding a plastic funnel to your ear. I can also bounce around the universe at will...most of the aliens I met don't care for us and avoid this planet like a highly infectious plague--a few have crash landed, of course, at obscure places like Roswell and Midland, Texas. But most avoid our beloved planet. Hey, would you travel across the universe just to visit a filling station restroom in Barstow? 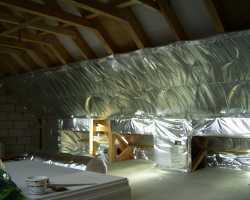 My next project will be to make my own aluminum foil. I am suspicious of the stuff I buy at Wal-Mart. So, if anyone knows where there is an accessible deposit of Bauxite please let me know. In the meantime protect yourself. Make yourself a beanie, and one for Mildred and the kids, Skippy the dog, and Fluffy the cat. 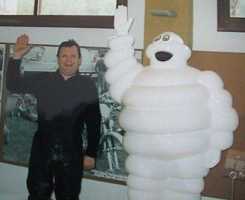 Once they get inside of you it may be too late. I should know. I have a possessed cat at home right now. 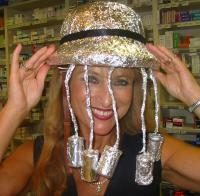 Since all of the technicians at the Cosmotic Institute have been wearing AFDBs while on duty, productivity is way up. And they are happier too! Thank you for your invaluable site. I have taken your advice and am building what I hope is the first psychotronic shielded snooker room in Europe. Would you advise that players may dispense with their normal protective headgear whilst engaging in a few frames of the noble game? I attach a picture of the roof shield together with a picture of two players who are clearly relieved by the resulting protection afforded."